A day after Elon Musk proved that his Falcon Heavy is in fact the world’s most powerful operational rocket, the tech mogul has another mountain to climb: Efficiently manufacturing Tesla cars and semi trucks. The car company also reported that it saw its biggest quarterly losses ever in the fourth quarter of 2017. But Musk believes he can use tunnels dug by his infrastructure company — The Boring Company — to streamline Tesla production. 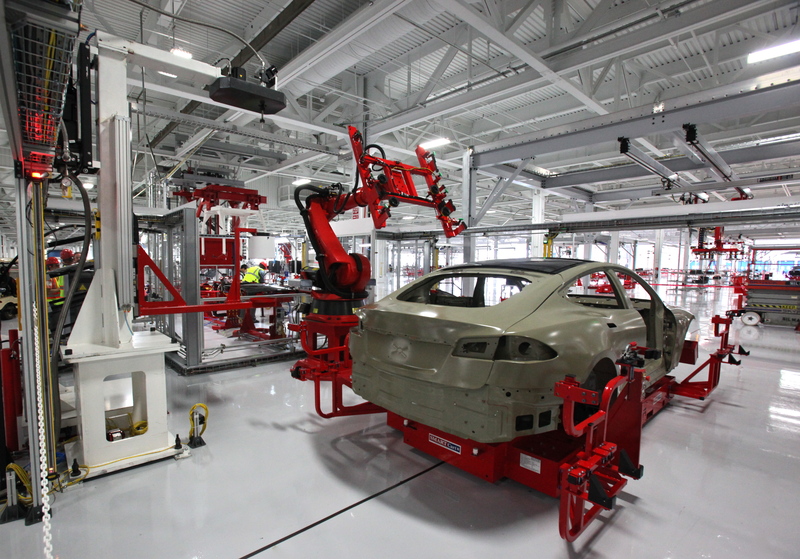 The limiting factor, said Tesla CTO Jeffrey B. Straubel, is if Tesla continues to ramp up production, at a certain point it won’t be able to get materials made in one factory to another. The primary production factory in Fremont — once used by GM and Toyota — would be waiting on truck shipments of parts for final assembly, which would slow everything down. Musk’s solution to this production issue is simply: Tunnels. Musk has pushed for an underground, freight-shipping system he calls, the hyperloop. He goes on to explain that if Tesla factories were linked together by a system of tunnels, production of vehicles would vastly improve. Roughly 400,000 people have reserved a Model S and the company is struggling to produce 5,000 a week. The Model 3 is modestly priced at $35,000 and is supposed to be the car to propel electric vehicles into the mainstream. Musk has surmounted the seemingly unsurmountable before, but pulling this off is crucial for Tesla’s success in the future.